Happy Ides of March! And Happy Birthday to me!!! This month’s theme is Birthday cards (since March is my birthday month). Wanted a simple black & white card with just some color. 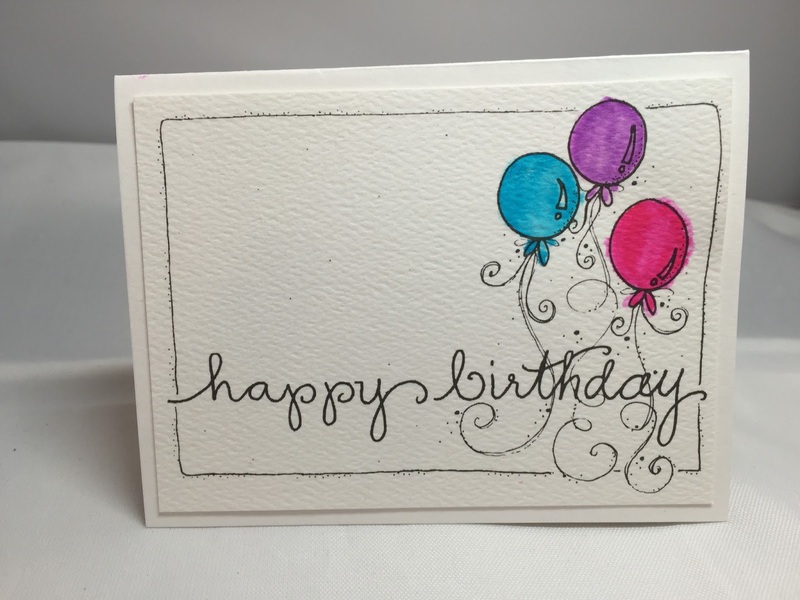 Wanted to make the balloons pop, and have it be just a cute little card. These are great adorn it watercolor sheets I picked up at CHA. 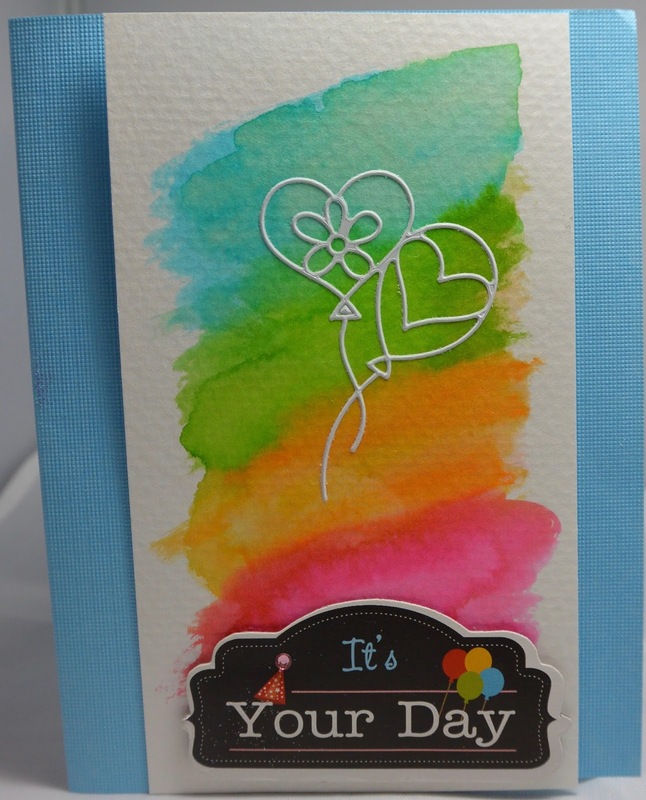 Supplies – Adorn It watercolor sheet, Zig clean color pens, ATG, water & paintbrush. I thought this would be a great use of a paper pack where all of the papers coordinate and the paper is double sided. It needed more pop after it was done so I added some embellishments and wink of stella. 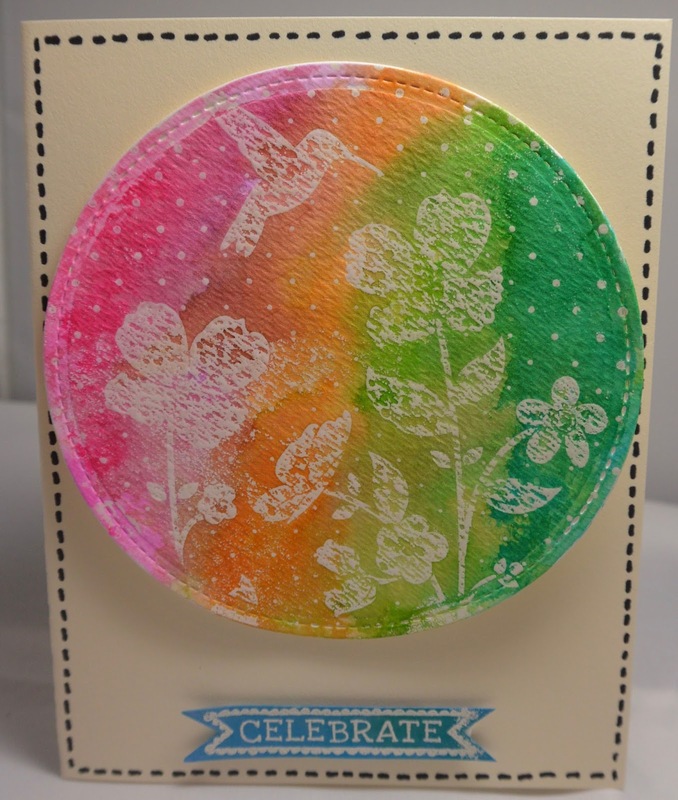 I used the deco foil with dies for the first time – super easy!!! Supplies – Close to my heart Sangria paper pack, craft easy tear tape. icraft Deco foil, i craft easy cut adhesive, wink of stella gold, queen & co pearls, banner dies from stamps of life & sizzix. Birthday dies (Not sure of brand). 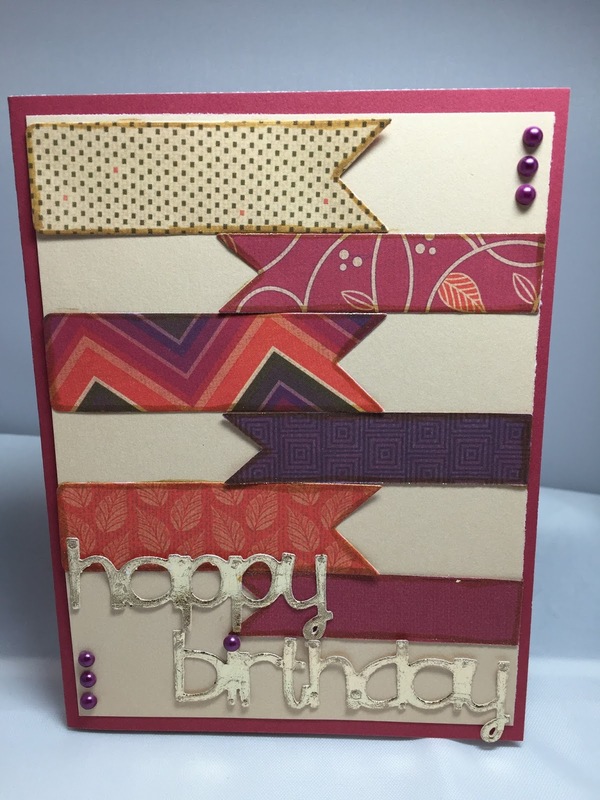 And I wanted to share with you that I’ve been working on some “not cards no paper” crafts – I feel like I’m cheating on cards – but wanted to share with you that I’ll be posting some stuff with items I got at CHA – and I’m excited. It’s been pretty challenging for me (outside of my comfort zone)… but I wanted to try something new (and do scary stuff – a la Year of Yes – a great book if you haven’t read it yet). Have a great day! I think I need to go find some birthday cake!